As I mentioned in my previous travel post, I’d also be touching on bucket list items that were checked off while in South Africa. This admittedly started off a “thing I never thought I’d do” item and quickly turned into a bucket list for me. 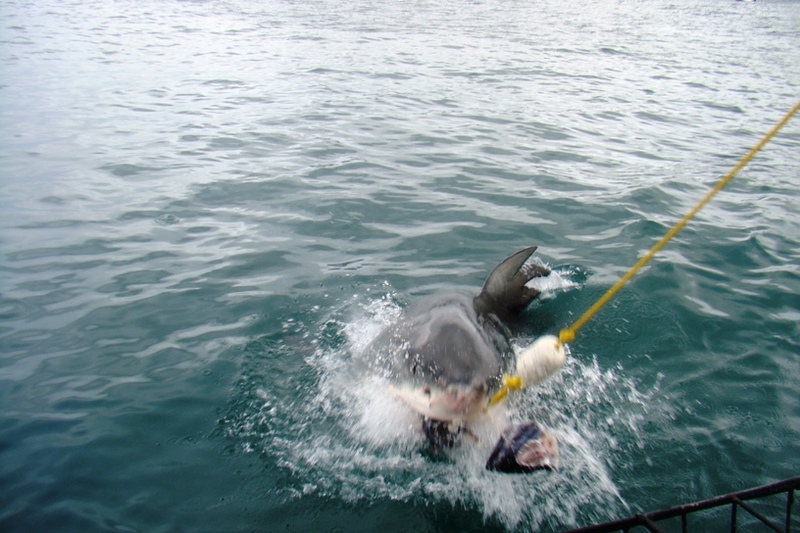 South Africa is a popular tourist destination to sight great white sharks, with cage diving being the main reason why people visit Gansbaai. 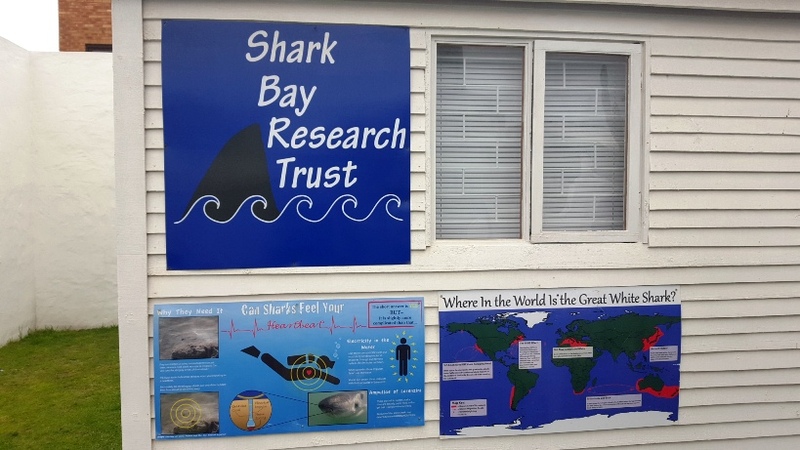 Yes – you read right, sharks. 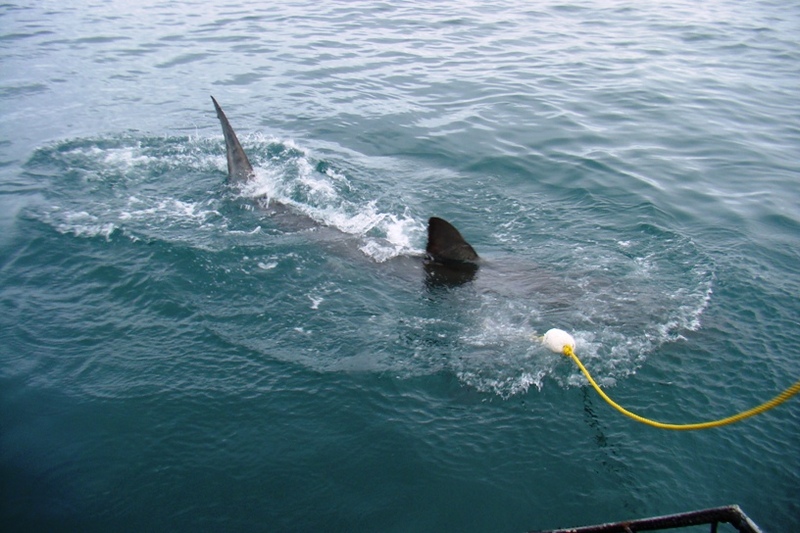 I’m sure you know where I’m going with this, but in case you don’t here’s the deal – I went shark diving! 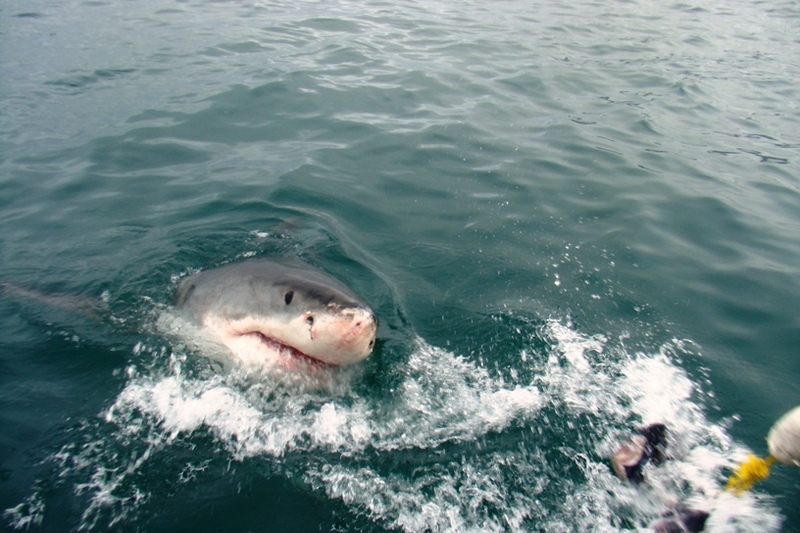 There are a few companies that hold tours and we went with the popular Shark Lady Adventures. It started with a prompt 4am pick-up from our hostel by a hired shuttle bus driver, followed by a 2-hour drive to our destination. 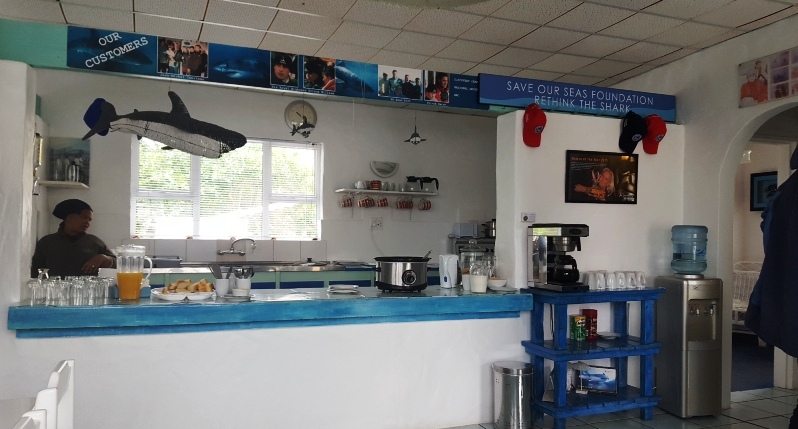 Once we arrived, we had the pleasure of a continental breakfast while we waited for others to arrive and complete our group for the morning tour. Once we were all accounted for, our tour guide (Lance) took us through the entire safety procedure – from the importance of remaining seated while the boat was moving to where you should put your hands and feet while in the cage. 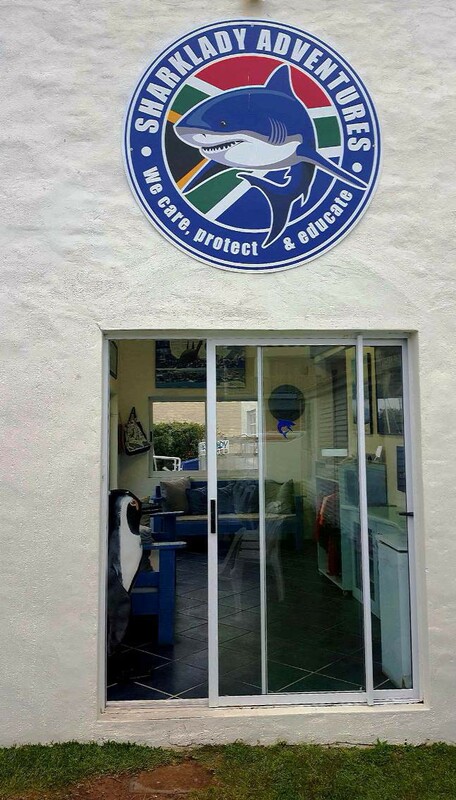 You could tell right away that he was a seasoned diver; very knowledgeable and passionate about his job and the well-being of the sharks.We were split into 3 groups as each cage holds 5 and it was explained that there and bars on the inside of the cage for us to hold onto and place our feet. 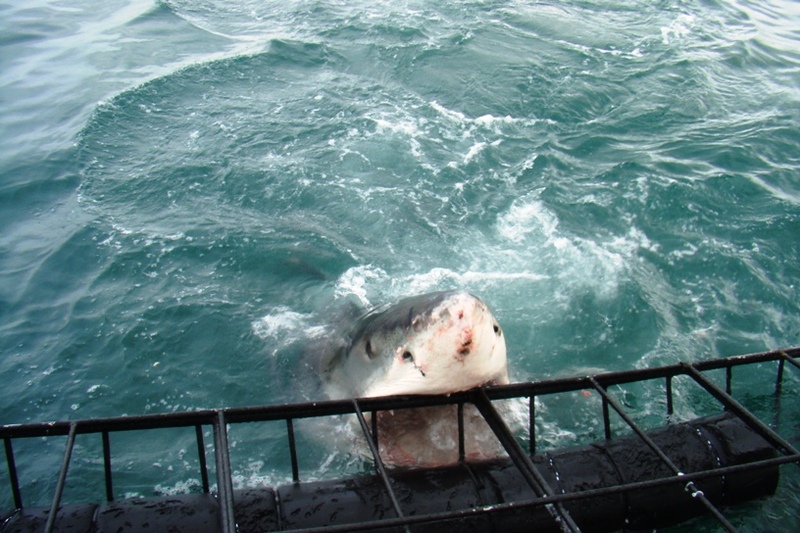 Once we headed out to sea and stopped, the first group was assisted into the cage and we all waited. Since the boat was stopped, we had a chance to walk around while we awaited our turn (we were in the 2nd group). 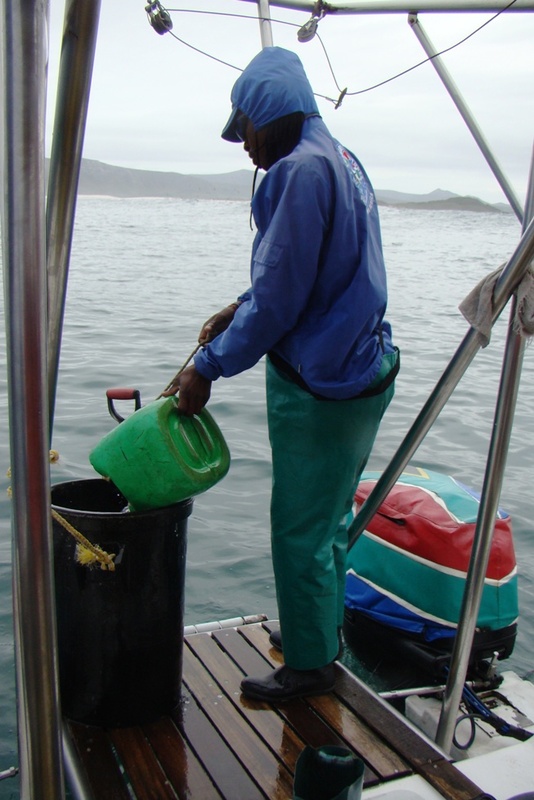 During the wait, the crew threw bait and bloody fish water to entice the sharks to appear. 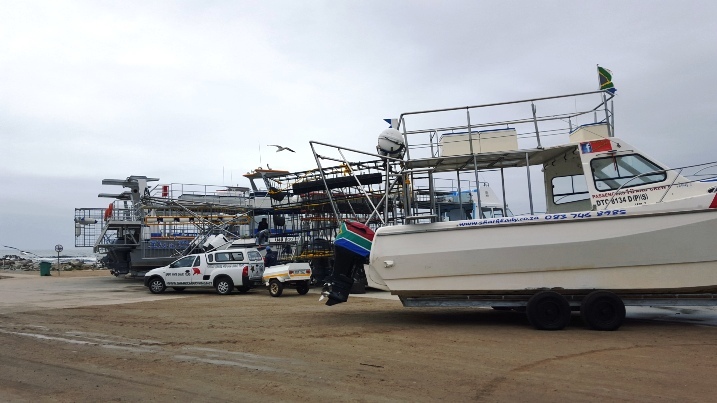 Before getting into the cage, we were each given a wet-suit to change into – thankfully because the water was FREEZING cold. You could actually go pretty numb from the temperature, but we were too distracted by the excitement that we were actually Shark. Diving. In. South. Africa. The cage sits at the side of the boat and once inside, there was enough room to keep our heads above water while we waited. 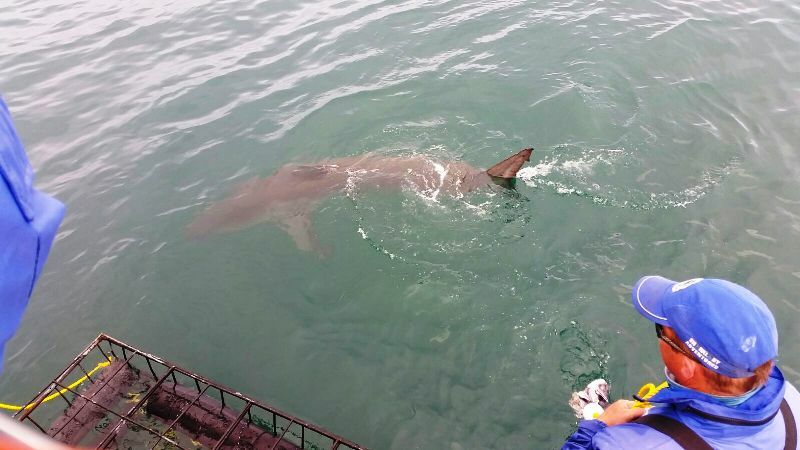 Once Lance saw a shark appear for the bait, he would yell “DOWN!” so that we could duck to see the shark swim by. Amazing! We were so caught up in the excitement that my friend and I barely took any pics! 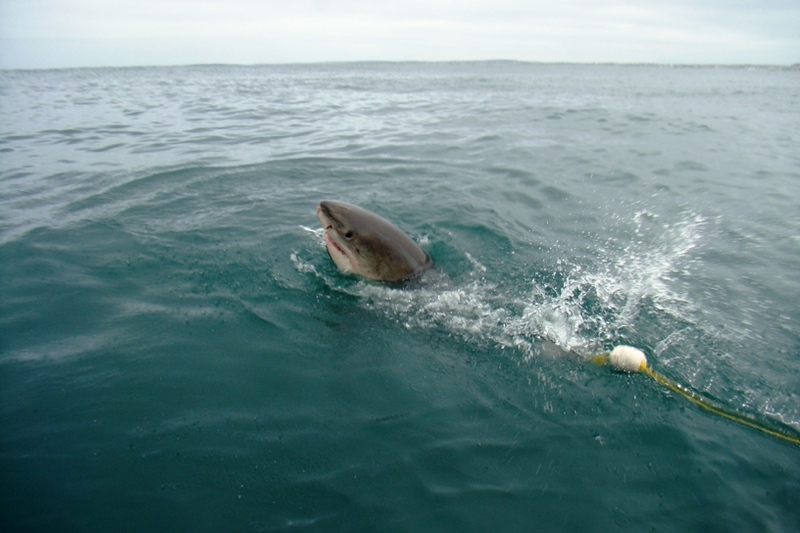 Thank you to Betty, the lovely lady in our group who graciously sent us some cool shots of the sharks. To top it all off, the crew also included a cameraman who filmed the entire experience and quickly edited it upon our return to land so that we were able to purchase the DVD afterwards. There was nothing “scary” about the experience at all – just thrilling. We were and felt completely safe while inside the cage and the sharks pretty much minded their business once they got their food. Without a doubt, this is something I’d do again!